People suffer a number of health issues mainly because of a dirty work environment. 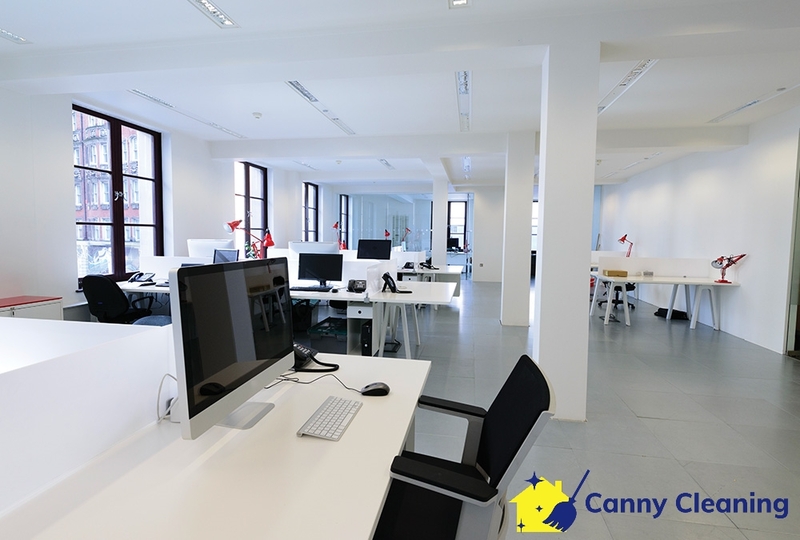 Your employees would never enjoy working in such an uncomfortable environment, which is why it is always advisable to invest in a professional cleaning service to keep your workspace clean and organized. An inexperienced cleaner would never find it easy to keep a large workspace clean. Therefore, you need the support of commercial cleaning services to spruce up the interior and improve the work environment in your office. When you contact a commercial cleaning service, the service provider offers a number of cleaning solutions for your workplace. You hear many new things that you did not try before. Professionals know various advanced and effective cleaning techniques that a regular cleaner can never perform. Their job is to clean the whole work area in a detailed way. It means there should be no germs and bacteria in your workplace once the cleaning job is finished. The chances of suffering with a normal or critical health issue will be very low and that’s why you need office commercial cleaning. A number of cleaning fluids and solutions are available in the market. Some cleaning companies only focus on the cleaning job. They do not consider the side-effects of synthetic cleaning agents. They try to finish the cleaning job quickly and that’s why sometimes they use chemicals, which can easily harm a human being. A highly reputable commercial cleaner on the other hand would never rely on harmful chemicals for cleaning. He would simply use a more environmentally-friendly cleaning solution to remove stains, darts, and kill germs. Thus, your employees will not face any kind of discomfort once the cleaning job is done. Areas like bathroom, corridor, waiting rooms, and hallways often remain dirty because of the common misconception that cleaners should mainly focus on the work area. Reliable commercial cleaning services will ensure that every corner of your office is clean at affordable prices. Each room in your work premise will be inspected and thoroughly disinfected to prevent the spread of germs. Thus, the chances of catching germs in the bathroom and other rarely cleaned parts of your office will be pretty low. Your employees will remain healthy and work with their full potential. Cleaning the office area would be much easier if there are no employees working in the area. A trusted cleaning services company in Singapore chooses the best time to perform the cleaning job because they can collect all the clutter and throw it out without disturbing anyone in the office. Additionally, using certain cleaning products can also irritate most people because of its smell.